The trade that sends Kawhi Leonard to the Raptors in return for DeMar DeRozan, among other compensation, was announced Wednesday. It will take a while to see who wins the deal. For now, only this much is certain: Both the Spurs and Raptors are receiving All-Star-caliber players who made an impact on the teams they’re leaving. Sports data specialists Opta put together a package of some noteworthy statistics that build a fuller story about both Leonard and DeRozan. If you find this interesting, consider giving @OptaLarry (as in Bird) a follow here. — Since the start of the 2012-13 season, only two players have averaged at least 1.9 steals per game with an effective field-goal percentage of more than 48 percent — one of whom is Leonard. He averages 1.8 steals per game in his career, the third most among active players. — Leonard is one of nine players in NBA history to win multiple Defensive Player of the Year awards. 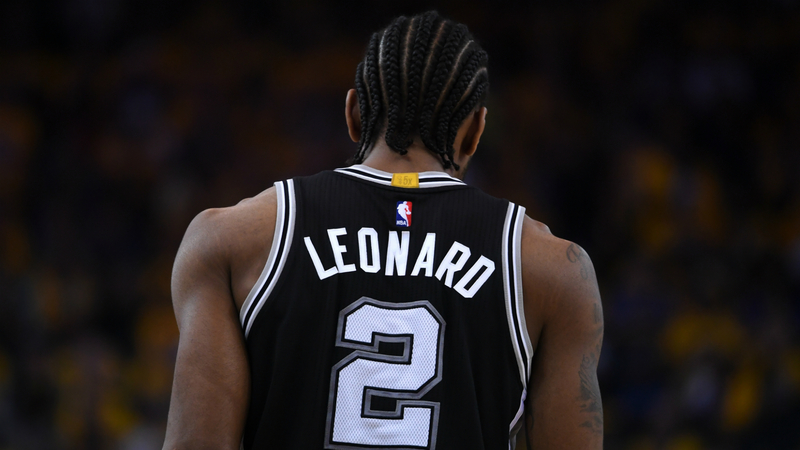 — Leonard had 23 games between the 2015-16 and ’16-17 seasons in which he scored 30-plus points while making more than 50 percent of his field-goal attempts. That is tied for the sixth-most such games by any Spurs player in team history. — Since the start of the 2013-14 season, only two players averaged more 2-point field goals per game than DeRozan, who averages 15.9. Additionally, his 7.4 2-point field goals made per game in that time is tied for the seventh most in the NBA. — DeRozan leaves the Raptors as one of the best players in franchise history. He is the team’s all-time leader in games played and points and ranks near the top in numerous other categories.